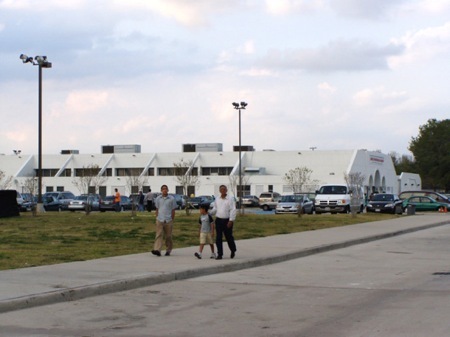 The Gujarati community in the Houston metropolitan area includes more than twenty-five thousand persons and is part of a wider Asian-Indian population in the city . Gujaratis have exhibited remarkable patterns of assimilation and adaptation, and have become fully integrated into the business and professional worlds. 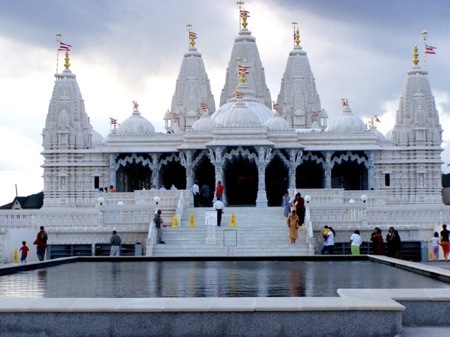 However, at the same time Houston’s Gujarati community has engineered extraordinary temple complexes that both showcase and preserve the intricacies of their culture and religion. This dual pattern of assimilation and the simultaneous attempt to preserve and protect culture may seem mutually exclusive. However, both parts of the process are longstanding elements of the American denominational system which both have helped new arrivals assimilate into American society and at the same time have provided a way within which culture and ethnicity could be protected. The Gujarati temples in the slide presentation were observed in November, 2005 . Some temples, like the Akshar Mandir, a recent project of the Bochasanwasi Shri Akshar Purushottam Swaminarnayayan Sanstha (BAPS), were in a stage of near completion. Others, like the Vallabh Priti Seva Samaj (VPSS) were fully functional but remained in a state of final construction. The Hare Krishna Dham was in a stage of remarkable transition when, twenty-two years after the purchase of a former Baptist church, the structure was modified to look like a Hindu temple. 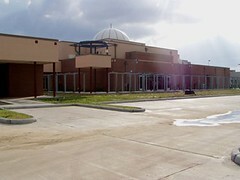 Others, including the Chinmaya Mission and the Shree Swaminarayan Temple (ISSO), exhibited both traditional patterns of construction as well as innovative and adaptive patterns of assimilation designed to meet the needs of an expanding ethnic community in an entirely new religious context. 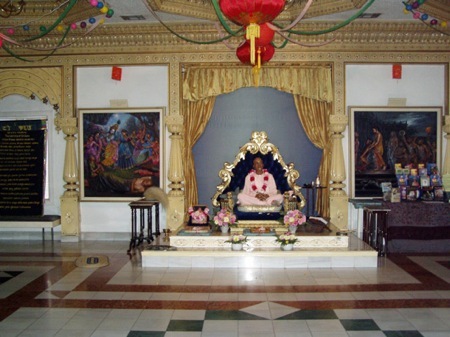 The Shree Vallab Priti Seva Samaj, located in Sugar Land on the southwestern side of the city, is a project of the Vallabha Sampradaya, a fifteenth century north Indian bhakti tradition . Members of this tradition practice Pushti Marg (the path of grace) and worship an incarnation of Krishna as a child known as Sri Nathji. 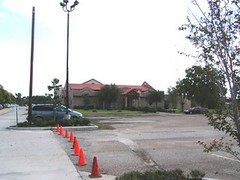 The Houston Vallabhacharya community predates the founding of Vraj (near Pottsville, Pennsylvania) which is the sect’s primary seat of pilgrimage in the western hemisphere. The Houston project has evolved with the cooperation and enthusiasm of Goswami Indira Betiji of Baroda, who has maintained an active presence in establishing her tradition in the United States. Historically the sect spread throughout north west India through the descendents of the founder Vallabhacharya who occupied gadis, or seats, in Nathdwara, Jatipura, Kankroli, Gokul, Kamaban, Surat, Kamban and Brindaban. Each gadi is independently administered by a Goswami, who is a descendent of Vallabha as traced through his son Vitthalnath, who the sect lovingly refers to as Sri Gusainji. The central shrine in Nathdwara, which houses the image of Sri Nathji, is administered by the Tilkayat who is also a descendent and functions much as a pontiff. While the Houston complex has benefited from the support of Indira Betiji, the design of the complex also reflects the wishes of local leaders who are particularly conscious of the importance of assimilation. While in India the wishes of the Goswamis are considered of paramount importance, in the United States devotees may respectfully disagree. 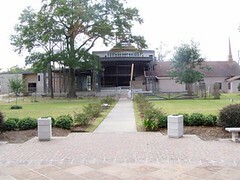 This was the case in Houston where local leaders resisted an injunction to retain traditional elements of Pushti Marg architecture and instead developed a level of aesthetic appeal that would be more suitable for the pan-India clientele that they knew would visit the site. Led by a Houston businessman, the Shree Vallab Priti Seva Samaj is an elaborate project that its sponsors hope will both meet the needs of devotees of the tradition and also of other pilgrims who visit it. The temple was dedicated in June 2005 when the initial part of the temple (called Nandalay) was erected. This section of the project includes twelve thousand square feet of space, including a worship area for the central deity Sri Govardhannath, living quarters for the priest or mukhiya, a suite for visiting Goswamis, and a kitchen . 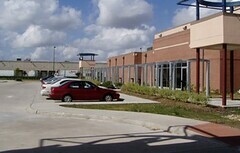 Attached through a breezeway is the Vallabh community center with an eleven thousand square foot hall, a stage, a three thousand square foot kitchen, a library, and classrooms that currently accommodate one hundred twenty-five students . 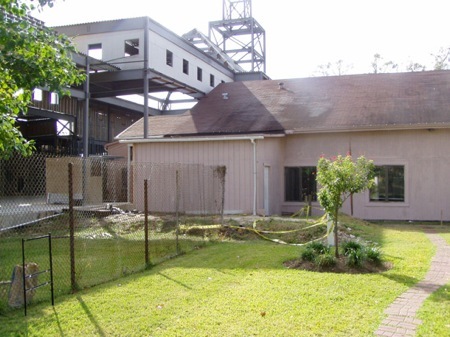 The third part of he project, the Gokul Gaun, is still in the planning stages and will be a retirement and assisted living center located on the property. Unlike Pushti Marg temples in India that are frequently located in places of sectarian appeal or in places where theopanies occurred. 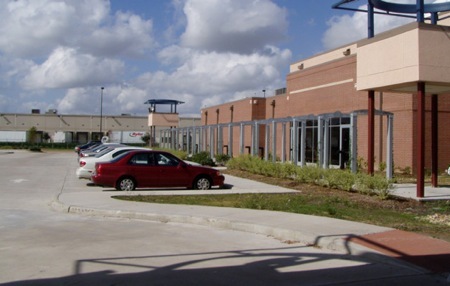 Accordingly, the Houston site was chosen because of its accessibility within the metropolitan area, the availability of land, and the lack of restrictive zoning practices in the immediate area. Because of the lack of zoning restrictions the immediate area is diverse–the temple is in sight of both a large Christian church and a trucking center. Temple leaders hope to increase the sense of sacred space through creative use of landscaping and a traditional parikrama, a garlanded series of gateways surrounding the temple. This addition will afford devotees the opportunity to perform a ritual circumambulation of the shrine before entering, while also separating the property from its neighbors. Perhaps the most difficult aspect of developing a Pushti Marg temple in the United States is finding a priest. Traditionally, mukihiyas are trained in Nathdwara (the seat of the sect in Rajasthan) and belong one of three traditional lineages. The Houston temple met these requirements by hiring a mukhiya who had not only trained extensively in Nathdwara, but who was the son of the priest at the Vraj temple in Pennsylvania. Allowed to marry by the tradition, his apartment is attached to the temple, where he conducts six darshans, or viewings of the deity, daily. Each darshan incorporates rituals normally associated with puja in a theological context in which the sight of the deity envelopes the worshiper in a sacred realm that is part of the lila, or play of Krishna. In Houston the original form of the complex Swaminarayan tradition focuses its energies on traditional activities, including the process of satsang (devotional reading and study of scripture), darshan, and the leadership of monks who provide the spiritual direction for the facility, helping to preserve its traditions . Two monks from the ISSO tradition live and teach in the temple which has counterparts in other parts of the country including: Weehawken, New Jersey; Boston, Massachusettes; Chicago, Illinois; and Los Angeles, California. ISSO temples also exhibit adaptive strategies. 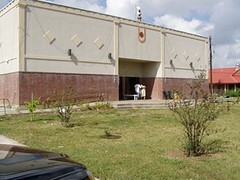 Both the ISSO tradition and the more visible BAPS division of the faith devote a significant amount of energy to charitable programs including free medical clinics and blood drives. 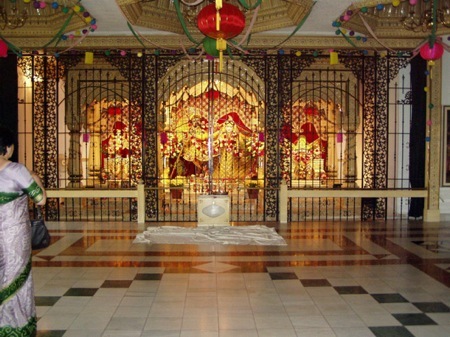 These efforts, which have been part of both the ISSO and BAPS temples in Houston, are an important aspect of the larger Swaminaryan tradition which derive from it founder’s concerns for human welfare. However, in the United States, these theological principles have also helped increase the sect’s ability to assimilate. Particularly in Texas where Judeo-Christian values of service are especially dominant, the humanitarian tradition of Swaminarayan is easily adapted to the new landscape. The Houston ISSO temple is administered through the Ahmedabad diocese of the tradition . This carefully guarded lineage extends back to the history of the sect when Swaminarayan installed his nephews as acharyas (spiritual leaders). After the death of Swaminarayan, the sect split into two jurisdictions, Ahmedabad and Vadtal, each of which preserves its lineage and regulates its temples through the decisions of its acharyas. Acharyas are removed from administrative duties within the sect and delegate this authority to saints. The saints draw their authority from the current acharyas: Tejendraprasadji, Kaushlendraprasadi, and their designated successor, Lalji Maharajshri Koshlendraprasadji. 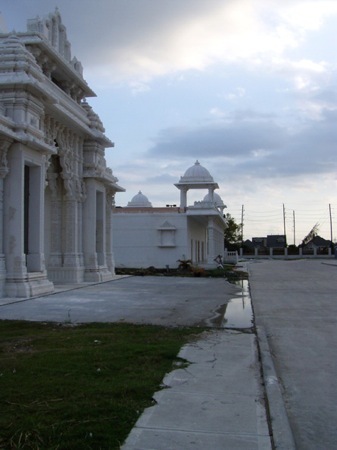 One of the most visible blends of traditional temple architecture, in the context of a successful adaptive strategy, is the recently constructed BAPS temple that opened in July, 2005 . 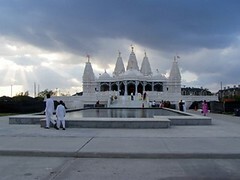 The temple, Akshar Dham, was erected in only sixteen months and is constructed of Italian marble and Turkish limestone. The temple incorporates the pristine beauty of traditional stone Hindu architecture in a modern setting that has benefited from computer aided construction and global networks of artisans, engineers and craftspeople . Each block of stone was computer coded to insure its exact match in color to adjacent parts of the structure. After quarrying in Italy, the marble was sent to India where it was carved prior to shipment to Houston for final assembly. While the temple reflects the initiative of the local BAPS community, it also incorporates the wishes of the wider BAPS leadership, to establish enduring monuments with appeal in the modern world, in keeping with the global vision of the faith’s guru, Pramukh Swami. BAPS achieves this purpose through a multipurpose architectural plan that includes a temple, a visitor and exhibition center, an assembly hall, a dining hall, classrooms and a gymnasium, which are all designed to meet the needs of an expanding western clientele. The local BAPS community has become infused with persons who are in full accord with the global organization and who have the same skills that are frequently found in multinational corporations where the need to communicate the mission of the organization frequently reoccurs. Interviews are freely granted and may include persons skilled in public relations techniques. 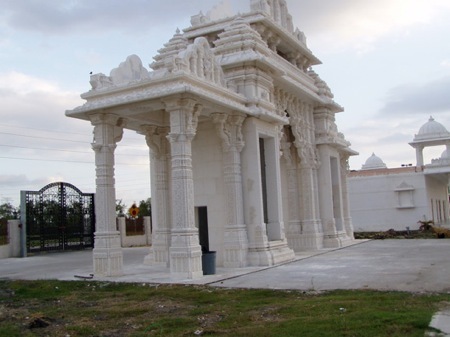 The BAPS temple is also a reminder that Gujaratis, like other ethnic groups in India, do not perceive a conflict in supporting a variety of temples. In this sense they provide a new level of meaning to the competitive American denominational system that has always relied on patterns of membership and institutional loyalty. 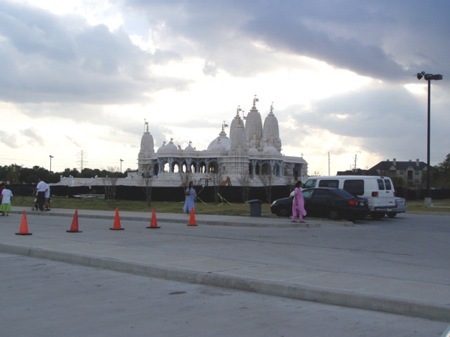 In Houston, the Gujarati community freely supports the BAPS temple, at the same time maintaining its loyalty to other temples. Despite this reluctance to enter into a competitive mindset so characteristic of American religious institutions, it is clear that among the Krishna centered bhakti traditions represented in Houston, there are some significant differences in patterns of adaptation in the American spiritual marketplace. For example, while the Pushti Marg tradition is dependent on the competing wishes of lineage holders in India and the Tilkayat (pontiff) who manages the haveli (shrine) of the central deity, Sri Nathji, BAPS is more monolithic and establishes its international agenda through the wishes of Pramukh Swami Maharaj, who is understood both as a spiritual heir to the faith and its guru. As a result of this difference in heritage, the temple traditions react differently to the push and pull of the tension between cultural preservation and assimilation. The VPSS conducts it affairs through a board of trustees that receives advice from goswamis (lineage holders) in India. It is responsible for both meeting the needs of the tradition, as expressed through the desires of the goswamis, and insuring the temple’s broad appeal in the United States, that will insure its economic viability. In order to maintain this delicate balance leaders acknowledge the spiritual authority of the goswamis but also feel free to disagree with them. The process is frequently complex and may involve a significant degree of negotiation to satisfy both parties. 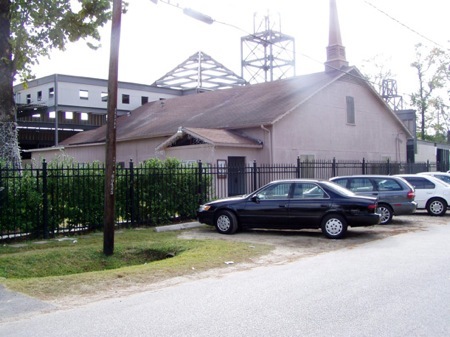 On the other hand, the Houston BAPS temple is part of a global network of mandirs (temples). While decisions for the erection of new temples do depend on local communities, they always involve the wishes of the transnational network, which is administered by the leader of the sect, Pramukh Swami. Akshar Dham has designed a complex that provides for the educational needs of the Houston BAPS community, but at the same time reaches out to the wider American population in a broad level of spiritual appeal. The project borrows American public relations techniques in helping civic leaders to understand its purpose and in welcoming visiting dignitaries. While Akshar Dham sees itself in a broad context of American tourism, the VPSS has designed a project that will both meet the spiritual and physical needs of the Houston Pushti Marg community. The temple complex is expected to nurture devotees, both paying special attention to the second generation through an extensive educational program and caring for members of the first generation when they are infirmed. Temple leaders of both traditions do not see these goals as mutually exclusive. Instead, they are part of a diverse adaptive strategy of the Gujarati community as it attempts to preserve its cultural and theological traditions, establishing an important presence in the changing American religious landscape. The oldest Gujarati presence in Houston is the Hare Krishna Dham . Begun in 1971, the Dham reflects the push-and-pull between adaptation and cultural integrity, but in a context that also reflects the changes within the International Society for Krishna Consciousness (ISKON) itself. Originally a tradition that saw few Asian Indian members (outside of summer camps for children), most ISKON temples now have attracted a significant Indian presence. 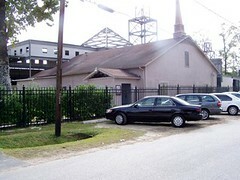 The substantial expansion of Houston’s Asian-Indian community enabled the Dham to purchase an abandoned Baptist church in 1984, which was the beginning of a complex that now incorporates an entire block . The current leadership of the Dham is entirely Asian-Indian, including persons from a variety of ethnic and linguistic backgrounds. 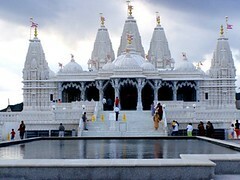 While the Gujarati population in Houston maintains a significant role in the temple’s membership, it also has broad appeal among the wider Indian minority in the city. The temple is frequently used for weddings and special occasions, in addition to its normal scope of activities, and maintains a pan-Indian presence. 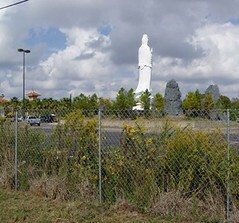 In keeping with the experience common in American religious institutions, visitors to the Dham have little difficulty in gaining access to the sanctuary or to photographing its icons. This pattern of access is a result of the wider history of ISKON, which has borrowed from the American evangelical traditions in their emphasis on proselytism and the wider spread of the faith. 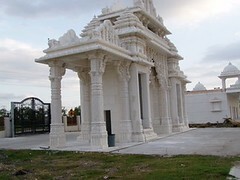 Perhaps demonstrating the tradition’s growing acceptance in American life, the Dham appears increasingly Hindu and less like the Christian church originally situated at the site. However, this transformation has come about slowly, suggesting that the process of adaptation has been tied to the changing ethnic composition of the institution and its increasing identification with Indian culture. 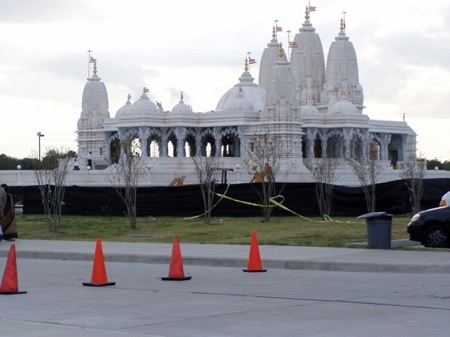 Houston is replete with a variety of Hindu temples including traditional South Indian structures such as the Meenakshi temple in Pearland, and the Sai Baba temple in Sugar Land, that is currently under construction. While these temples tend to draw a variety of Indian ethnic groups another organization, the Chinmaya Mission, has successfully attracted Gujaratis. 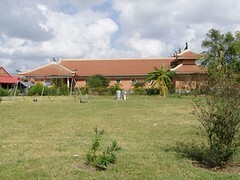 Constructed within the same part of the city as the ISSO temple, the Mission is a regional Vedanta center built in response to the teachings of Shri Chinmaya in India and well adapted to an American clientele . In Houston the Chinmaya center is guided by a husband and wife team of “co-acharayas,” in an interesting blend of Indian and American ideals that parallels the American church tradition of spouses who are co-pastors. 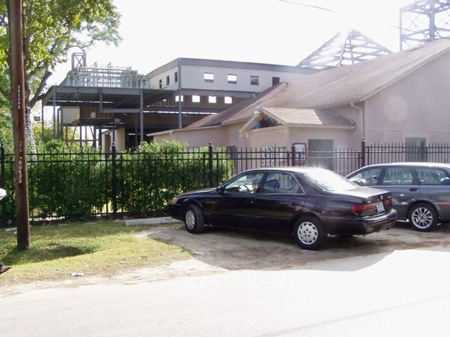 The co-Acharyas, Acharaya Darshana Nanayaty and her husband Archaya Gaurang Nanayaty, both studied in Chinmaya centers and, in 1982, with four other families, founded the Chinmaya Mission Houston. Some Reflections on the Houston Gujarati CommunityGujaratis in diaspora have shown themselves to be a remarkably resilient population capable of freely adapting to a Western environment. They have become adept at using patterns of chain migration to their economic advantage in a variety of industries from motels to various franchise businesses. They have also demonstrated an extraordinary level of cohesion, developing strong ethnic associations that preserve their heritage and maximize the role of the second generation to continue cultural traditions in the United States. This brief exploration of Gujarati temples in Houston has demonstrated that within this cohesion there are remarkably different adaptive strategies. 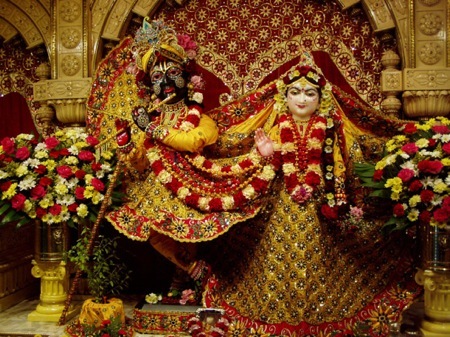 Some temples, such as the Hare Krishna Dham, which attracts large numbers of Gujaratis, have developed pan Indian traditions with strong ethnic constituencies, at the same time they have maintained loyalty to their parent traditions (ISKON). Others, such as the two forms of the Swaminarayan faith, show the firm control of sectarian leaders overseas who have approached the Gujarati diaspora in America through very different lenses. The ISSO chooses to maintain a presence much in keeping with the dictates of the older, conservative tradition, while the BAPS temple incorporates a cosmopolitan approach that both preserves Indian culture but at the same time borrows from the American experience of theme parks, large scale tourism and extensive patterns of public relations. Finally, the VPSS carefully negotiates its future in keeping with the specific needs of its resident population while at the same time maintaining significant ties with the lineage of the sect’s founder. 2. Support for the research was obtained from Cedar Crest College and from a grant from the Pluralism Project for the study of Pushti Marg in the United States. 3. I am indebted to the leadership of the Vraj temple in Pennsylvania (the Pushti Margiya Vaishnav Samaj of North America) for arranging contacts at the Shri Vallabh Seva Samaj in Houston and especially to Mr. Sureshbhai S. Patel, Chairman of the Board of Trustees of the Vallabh Priti Seva Samaj who made the visit possible. 4. Details of the plan for the project are contained in, Pushti Asmita: The Glory of Pushti Marg (Houston: Vallabh Priti Seva Samaj of Houston, Inc., 2005). 6. I am grateful to the leadership of the VPSS for arranging a visit to the Houston ISSO Swaminarayan temple. 8. I am grateful to the leadership of the VPSS for arranging a visit to Akshar Dham and to the Houston BAPS community for their assistance during my stay. 9. See, Vedic Dharma: A Journey through Hinduism: Commemorating the Inauguration of the First Traditional Hindu Mandir in Houston, Texas (Houston: Bochasanwasi Shree Akshar Purushottam Swaminarayan Sanstha, Shree Swaminarayan Mandir, 2004). 10. I am grateful to the leadership of the VPSS for arranging a visit to the Akshar Dham temple.